How Do I Load Recharge Cards MTN, GLO Airtel And 9Mobile? MTN,GLO Airtel And 9Mobile line? MTN, Glo, Airtel, and 9mobile. 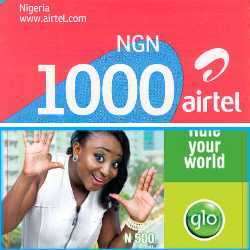 Q1: How do I load recharge card on Airtel line? Airtel Nigeria recharge card pins contain a 16-digit number. Type *126*1111222233334444# and press Send or Ok. Dial *123# to check account balance. Q2: How do I load recharge card MTN Nigeria line? *555*PIN# and then Send/Ok. MTN Nigeria recharge card PIN has 12 digits. *555*111122223333# and press Send or Ok. Dial *556# to verify account balance. Q3: How do I load recharge card on 9mobile Nigeria? 9mobile Nigeria recharge codes contain a 15-digit PIN. Dial *222*111222333444555# and press Send or Ok.
Q4: How do I load recharge card on Glo Nigeria line? Type the recharge PIN in the following USSD format: *123*PIN# and then Send/Ok. Type *123*111122223333444# and press Send or Ok. Dial #124# to check account balance.